Wirral Earth Fest….worth going over the water for! 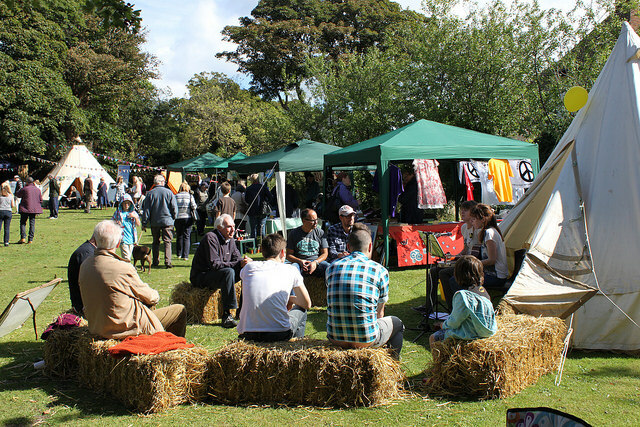 The second Wirral Earth Fest returns for some good green fun on September 12th for an evening time launch and continues on September 13th with a day of music, food & drink, workshops, children’s activities and more besides. With two weeks to go until the festival takes place it’s time to announce the music based content of the festival, following a very successful first year in 2013. The festival will launch on the evening of September 12th with the premiere performance of a specially commissioned multi-media musical performance for the festival from Operation Lightfoot. The composition, entitled Midgard, will feature special guest vocalist Kaya Herstad-Carney and noted Liverpool based experimental artist Silent Cities among others and will set the festival off in just the right spirit. Be sure not to miss it! The main festival day on the 13th September will feature two stages and showcase a selection of local and Merseyside based artists over the course of the day. Artists set to feature include award winning Liverpool based singer-songwriter Thom Morecroft (Best solo artist in the Liverpool Musicians Awards 2014), Jo Bywater (FATEA Awards winner for Best EP in 2013), experimental artist Silent Cities, the very unique one man band of Kenny & the Energy and many more artists. Returning artists include Jim Pearson, Creaky Bones, Herringbone John and Shindig. There will also be another chance to catch Midgard inside the beautiful setting of St Bridget’s Church. Shindig, Ellipses, Steve Khan, Vernon Fuller, Ukulele Fantastics, The Kirk Owls, Jim Pearson ,Coast, Herringbone John, Katie McLoughlin, Creaky Bones, Thom Morecroft, Jo Bywater and Kenny &The Energy with more to be announced over social media closer to the festival. As with last year, our host for the day will be John Gorman (The Scaffold) with some surprise appearances to be revealed on the day of the festival. Wirral Earth Fest will take place over Friday 12th evening and Saturday 13th September over St Bridget’s Church and fields from 10am to 4pm. Entrance to the festival is free. With an estimated 3000 visitors in the first year of the festival in 2013, this year’s festival looks to be an excellent chance to enjoy music and much more on a perfect family day out.